The Canadian government ignored advice from Health Canada that asbestos be added to a global list of hazardous materials in 2006, CBC News has learned. 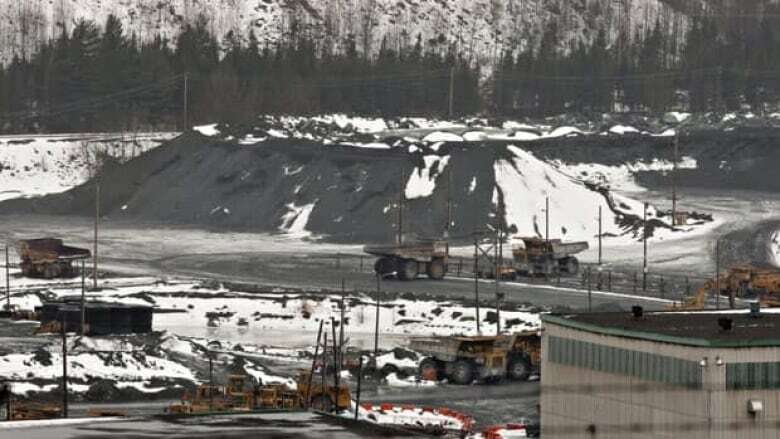 The Canadian government rejected advice from Health Canada that asbestos be added to a global list of hazardous materials in 2006, CBC News has learned. Documents provided to researcher Ken Rubin under Access to Information and obtained by CBC show how a senior Health Canada bureaucrat wrote that the agency believed that chrysotile — a form of asbestos that has been linked to cancer — should be added to a UN treaty known as the Rotterdam Convention. "[Health Canada's] preferred position would be to list — as this is consistent with controlled use — i.e. let people know about the substance so they have the information they need, through prior informed consent, to ensure they handle and use the substance correctly," wrote Paul Glover then director general of Health Canada's safe environments program, in 2006. The 2006 Rotterdam Convention comprises a list of hazardous substances that require countries to disclose any restrictions imposed for health or environmental reasons by exporting countries. Importing countries would then decide whether to import the substance, ban it, or restrict it, something known as prior informed consent. More than 50 countries ban the use of asbestos. But Canada, one of the leading exporters of the material, lobbied to keep asbestos off the Rotterdam list with the support of producing countries such as Russia and Zimbabwe. Ultimately, chrysotile asbestos did not make the list and remains off it. Canada exports $90 million of asbestos, all of it from Quebec, every year. While Glover noted in his email that Health Canada cannot say that chrysotile is safe, he said the agency does feel "there is science and evidence to support that chrysotile is less dangerous than other forms of asbestos." "We also feel that the risks associated with chrysotile can be managed by using a controlled use approach — i.e. know the substance its properties and hazards, and handle and use it accordingly." He also acknowledged that "the final decision will not be made on the basis of health alone." In 2006, just prior to the Rotterdam Convention, the World Health Organization (WHO) stated that "the most efficient way to eliminate asbestos related diseases is to stop using all types of asbestos." The agency also said that "more than 40 countries, including all members of the European Union have banned the use of all forms of asbestos, including chrysotile." Canada’s Department of Natural Resources also supported keeping asbestos off the Rotterdam list. "Listing of chrysotile alongside the world’s most toxic substances will be perceived as encouraging a ban of the substance" it stated on its website. It also says on the website that inclusion of chrysotile to the Rotterdam Convention "is inappropriate because it is widely recognized that chrysotile fibre can be used safely and responsibly." Canadian officials have long held that Canada’s approach to asbestos is a responsible one. By pursuing a policy of controlled-use and working with developing countries to minimize exposure, officials have asserted that the risks associated with chrysotile can be minimized. The Chrysotile Institute, which speaks for the industry, and has received millions in government funding, said there's no need to say anything about chrysotile before selling it, because it’s less harmful than other kinds of asbestos. "The declared objective of the people who are pushing for inclusion on the convention is to ban the substance worldwide and this would be a move in that direction which is totally unwarranted," said institute spokesman Guy Versailles. But for years, Canada has been scraping asbestos out of buildings, including those on Parliament Hill and at 24 Sussex Dr., the prime minister's residence. Asked during the recent election campaign how Canada can justify the contrast, Prime Minister Stephen Harper said as long as countries are willing to buy it, he won’t stand in the way. "This government will not put Canadian industry in a position where it is discriminated against in a market where sale is permitted," Harper said. But criticism of this policy has been fierce. "Canada is the only Western democracy to have consistently opposed international efforts to regulate the global trade in asbestos. And the government of Canada has done so with shameful political manipulation of science," the Canadian Medical Association Journal stated in an editorial in 2008. The Canadian Labour Congress has also accused the Canadian government of "ignoring expert advice indicating that chrysotile asbestos is not safe and is causally linked with various forms of cancer." "The government has failed to consult with labour and other stakeholders on steps that Canada could take to comply with international conventions calling for a ban on asbestos," the congress has stated. A decision by the International Labour Organization’s Committee on the Application of Standards last week demanded that the Canadian government adopt the "strictest standard limits for the protection of workers’ health as regards exposure to asbestos." It also asked Canada to "take into account the evolution of scientific studies, knowledge and technology … as well as the findings of WHO, the ILO and other recognized organizations concerning the dangers of the exposure to asbestos." "If you have any information about this story, or other investigative tips, please email investigations@cbc.ca"
Officials from the countries that agreed to the Rotterdam Convention will meet on June 20, but Canada remains undecided on its strategy. Despite the fact that the government has had years to co-ordinate its position on this issue, an official from Environment Canada recently told CBC News that "Canada's position for the upcoming meeting is under consideration." But Kathleen Ruff, the co-ordinator of the Rotterdam Convention Alliance which represents environmental and health organizations criticized this position. "There’s no excuse for the government’s refusal to tell the public the position we as a country will take at the UN environmental conference in a few days. This is not transparency." P.O.V. : Should chrysotile asbestos be listed as a hazardous material?